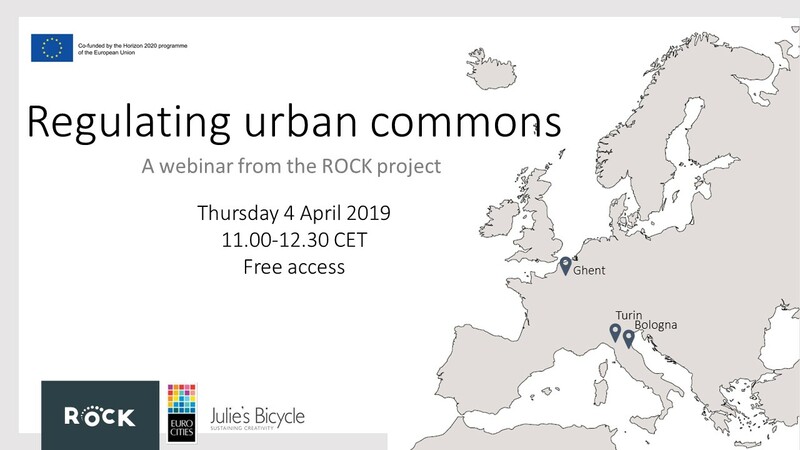 On Thursday 4 April 2019, the EU-funded ROCK project, EUROCITIES and Julie’s Bicycle invite you to a webinar on regulating the urban commons. The regulation of collaboration between citizens and the city for the care and regeneration of urban commons in Bologna was officially adopted in 2014, setting up a reference framework so that managing urban commons together with citizens could become a structural, permanent and transversal public policy and alliance for the care of the city. Since the regulation entered into force, this commons-based governance has inspired many other cities in Europe, making Bologna a front-runner.